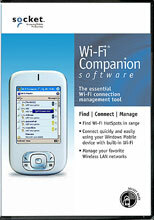 The Socket WiFi Companion Software has been discontinued. No direct replacement is available. Socket WiFi Companion Software is an intuitive and graphical utility that displays WLAN connection properties at a glance. 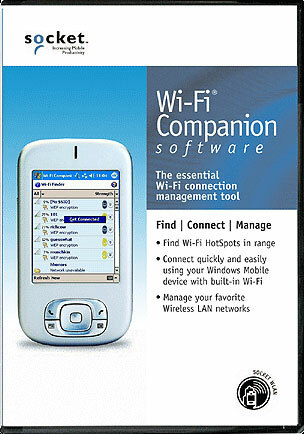 WiFi Companion Software is designed to work with Windows Mobile devices and supports square screen and landscape screen modes. The main page icons provide single tap access to browse the web or check email, find WLANs in range, install security certificates, view IP addresses or modify profiles. The Ping Utility enables users to check network connectivity to another device or host network. Trace Route enables users to identify the number of hops to connect to the Internet and possible sources of delay. There's even a Power Save utility, so you can adjust the power settings when using battery power.